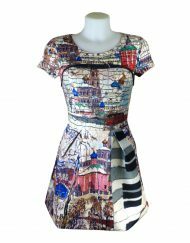 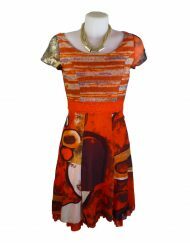 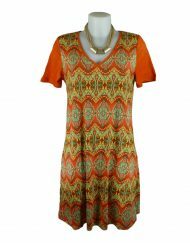 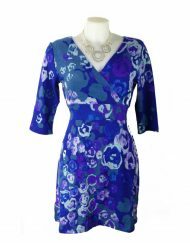 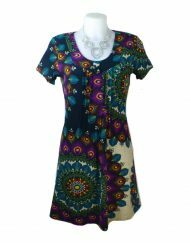 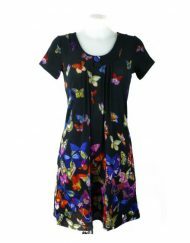 This stylish ‘Harriet’ dress by Alice Collins is ideal for all ages. 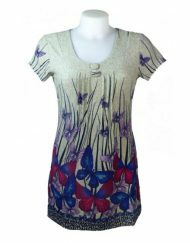 This pretty butterfly & floral print – is a must for this season. 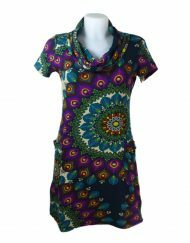 Made of 100% cotton, lightweight & machine washable – great for holidays. 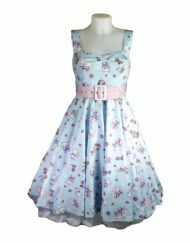 Pretty Butterfly & Floral Print.